If you’re a guy in your thirties or older and your entire wardrobe still consists of college attire (sweatshirts, T-shirts, jeans and long shorts), it’s time to up your game. A wardrobe upgrade can help you in all areas of life, both professional and personal, as well as enhancing your self-esteem. 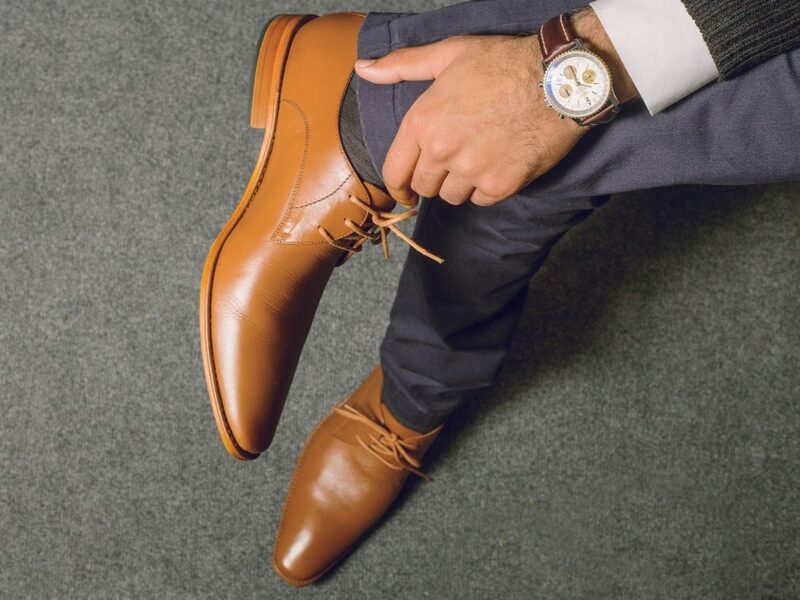 Here are five essential wardrobe pieces for professional men that will have you dressed to impress and ready for success. You might be thinking a navy blazer means old school polyester. But as long as you choose a style that truly fits your frame and is constructed of lightweight worsted wool, a navy blazer will take you from work to more formal occasions in a snap. For a more casual look, pair it with khaki pants and a polo shirt. For more formal occasions, add a scarf to the breast pocket and don some dove grey linen-blend trousers. The new wingtips aren’t your granddad’s clunky black clodhoppers. Today’s styles rock the traditional lace-up closures and punch-out leather applique plaques, but you’ll find them in fresh colors such as dark maple, oxblood, navy blue, and even dark green. You can even find wingtip brogues by the famous Dr. Martens (aka Doc Martens) rubber slug soles for all-day-walking or standing comfort. 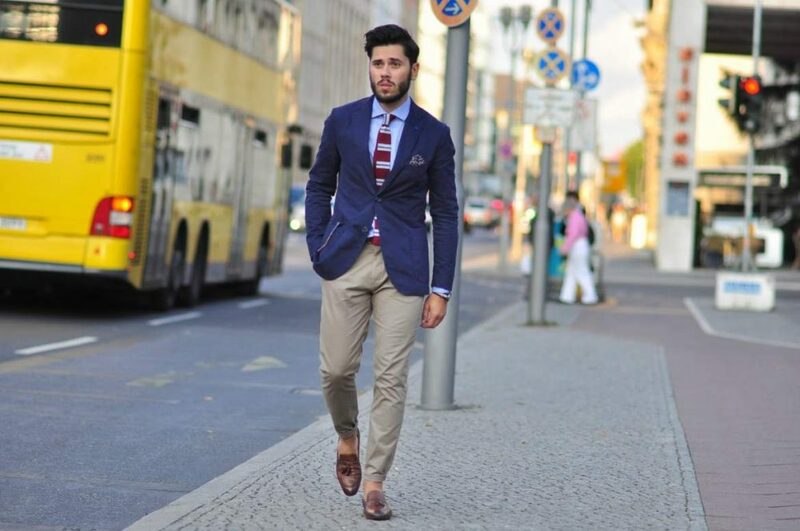 Khaki not only refers to the color of these slacks (light tan), but also to the material they’re made of, which is usually a heavy cotton blend. Don’t buy 100% cotton khakis because they’re wrinkle and look sloppy. 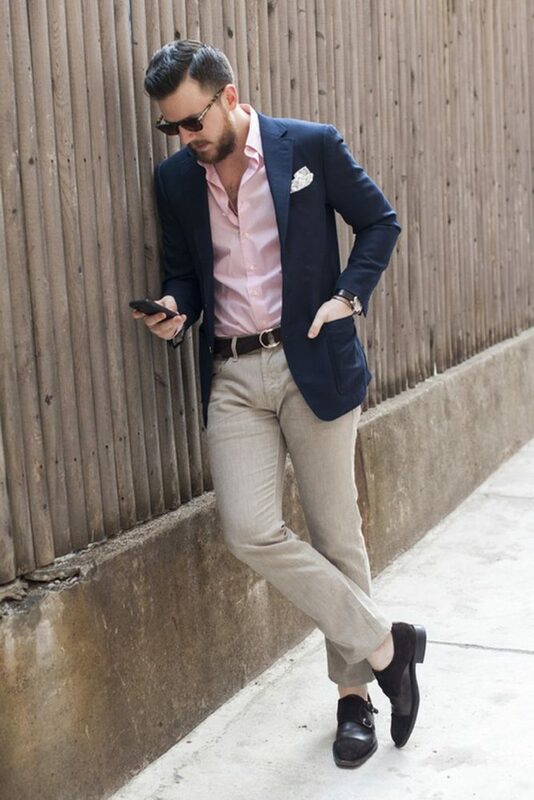 Cotton blends are fortified with polyester and sometimes Spandex so the trousers will hold their shape and pressing. For work, invest in khaki styles that feature pockets, a pleat or two (for comfort while sitting) and a zip-front closure with a placket. For fun, opt for “skinny” jean-styles. Believe it or not, skinny jeans and khakis are not ideal for guys who missed leg day at the gym. If your legs and calves are slender, pick a wider leg style to balance out your frame. Cargo jackets were originally made for their utility, but now there are plenty of high-end cargo jackets. In today’s fast-paced, more casual work environments, they’re a staple to slightly dress up a dress shirt without jumping into the too-formal pool of a matching suit. 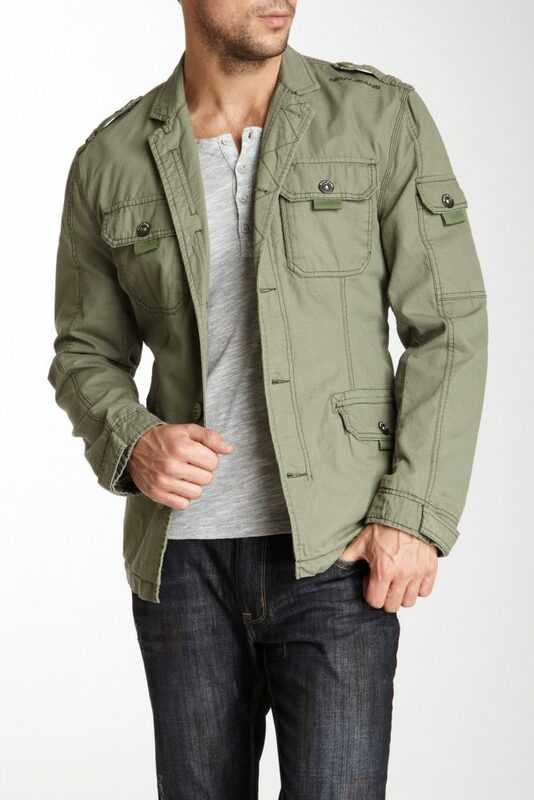 Some cargo jackets come with detachable hoods and multiple pockets as well as adjustable waist toggles for a custom fit. An added benefit? Most of them are waterproof, so you can grab them to wear for a rainy day. 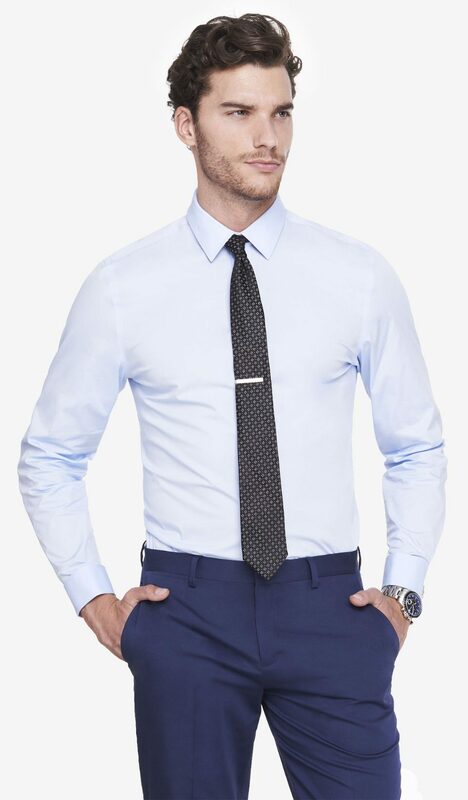 Guys have two choices with French blue dress shirts: 100% blue, or blue with white at the collar and cuffs. Not only does a French blue dress shirt look good on all shapes, sizes and skin tones, it looks great without having to wear a jacket. For an extra touch of old-school flair, invest in a French blue dress shirt with French cuffs (double-layered cuffs with cufflinks).